Dentures are not to be taken lightly. Your denture should be made by a seasonal professional, and here at our High Point Dental Office we have been making dentures for many decades. We also have a fully stocked, state of the art laboratory that we can use to create your perfect dentures. Our staff has been doing denture creation for years and we pride ourselves in our work. 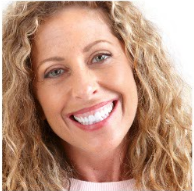 ​Denture creation is an art form that has to be perfected over many years of work. If you are looking for anything from complete dentures to partial dentures and denture repairs then you have come to the right place. We can do the extractions that are necessary in order to make your dentures complement your smile perfectly. Once the extractions are done we can place your denture in the most ideal location possible. We have a host of different dyes and hues to make sure the color of your denture matches your smile. We have the experience it takes to make the most comfortable dentures possible. 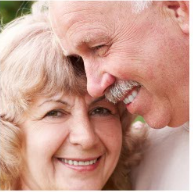 We are highly efficient at denture creation and we will see you work done to completion. It is imperative that you go to the correct dentist for your dentures due to the fact that poorly created dentures can actually make your smile worse. They can cause speech issues as well as issues with dislodgement from the mouth. Make sure you go to our High Point dental office for your denture placement consult. For the most comfortable and realistic dentures it is best to have your dentures placed with dental implants. Dental implants can anchor the denture to your jaw so that it can mimic the natural physics of your smile. 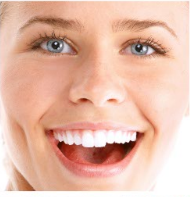 This way you can have the comfort to your smile and the best looking smile that can be created. Partial dentures are usually created in order to replace just a piece of your smile. This scenario could be due to prior extractions, infections, and gum disease. We can perfect your smile by creating dentures that fit your tooth color aesthetically, and create a more comfortable feel for your mouth. We have been creating partial dentures in the high point area for quite some time. Call now for free quotes on dentures in High Point, NC. 336-791-0903. Snap-ons are an alternative to dentures in that they can be put on teeth that have been broken in the past. These partially broken teeth can either be extracted, or they can have a snap-on placed that does not dislodge from the mouth as easily as dentures.